Enter a world of accelerated business and work opportunities by booking a property at Bhutani Alphathum, an exclusive commercial space project. 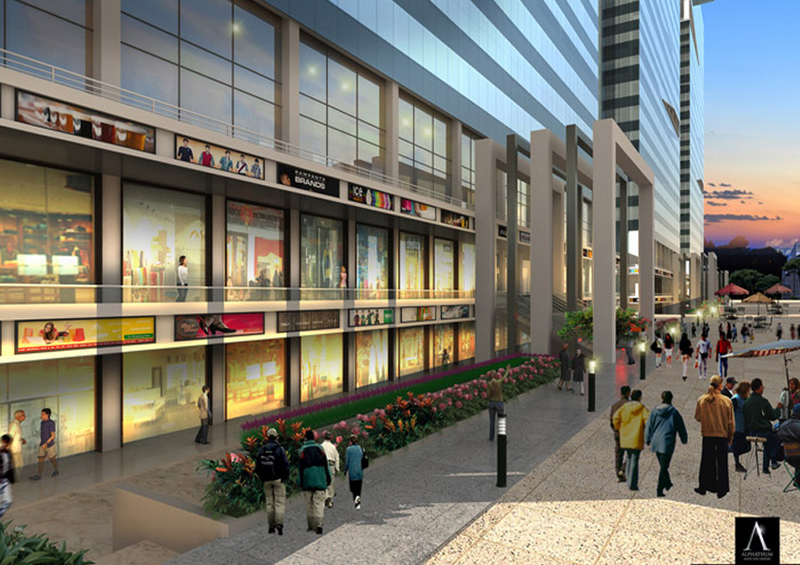 It is coming up in the fast developing upscale area of Sector- 90 on the Noida Expressway of Noida. On offer by the renowned builders, Bhutani Infra, this high-end project will take commercial spaces to an all new level of quality, design, and execution. 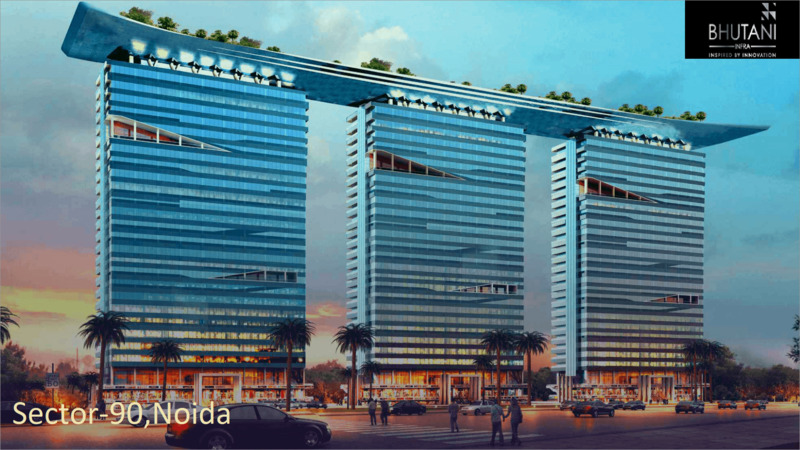 With the emergence of Noida as a realty hub of the NCR, numerous world-class residential, commercial, hospitality, healthcare, and retail infrastructure projects are being developed at a very fast pace here. This project is an answer to the rising demand for well-managed and professional commercial space. The price of this premium property ranges from Rs. 31.86 lakhs to Rs. 50.91 lakhs for unit sizes varying from 532 sq. ft. to 850 sq. ft. The location of this commercial project is perfect as it is close to and directly accessible from the main roads of Noida and Greater Noida Expressway. 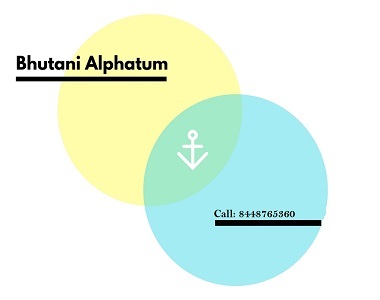 Bhutani Alphathum has in close vicinity, a number of expressways, highways, other high-end residential projects, and metro project all coming up in the near future. The buyers would benefit exponentially with important destinations just a stone’s throw away. In close proximity are & Yamuna Expressway. The adjacent is the popular Sector 137 of Noida. Just a few minutes’ drives are the important landmark Expo Mart. Sports and outdoor lovers would enjoy being close to the F1 racing circuit, and Night Safari & Cricket Stadium. The Metro Station, CBT, and an airport are also coming up at a very fast pace. The important Ashram Chowk is only 20 minutes away. As many residential properties are close by one can live a convenient life by living and working close by. Precious time can be saved for leisurely times with loved ones. The project would have numerous reputed educational institutes, malls, hospitals and industries located close by. The working offices would have firefighting equipment, full power backup and complete Wi-Fi connectivity making working here a blissful experience. The convenience would be further enhanced with a conference room provided for important meetings. The entire project would have multi-level security with CCTV surveillance. Professional maintenance and security staff would be provided 24x 7 for the utmost convenience of the investors. There are also restaurants proposed to make food and leisure easily available. The project is ideal for young professionals, entrepreneurs and business people wanting a modern and prestigious working space of their own. Investing here would enhance one’s financial portfolio and one can enjoy speedy investment returns.